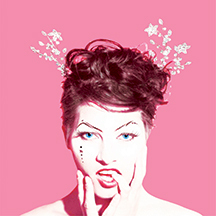 Singer/songwriter Amanda Palmer and The Grand Theft Orchestra will play two special tour preview shows at the Fisher Center. They are in residence at Bard College as part of Live Arts Bard for three weeks in late August and early September, shooting a music video and preparing to launch a tour of their new studio album. The Grand Theft Orchestra features Michael McQuilken, Chad Raines, and Jherek Bischoff. The album, Theatre Is Evil, showcases Amanda’s powerful vocals and talented songwriting in ways that may surprise even her most ardent fans. From tauntingly playful tunes to ballads that tugs at the heartstrings, the album offers a collection of sounds and rhythms heavily influenced by the music Palmer grew up listening to-most notably ’80s synth rock and Brit Pop. ← Letters to the editor: A letter of thanks!